In June of 2015 Italian born journalist, Nicola Orichuia, heard a store in the North End of Boston Massachusetts was not renewing its lease. He dreamt of creating a cultural space for the Italian community and here was his chance. 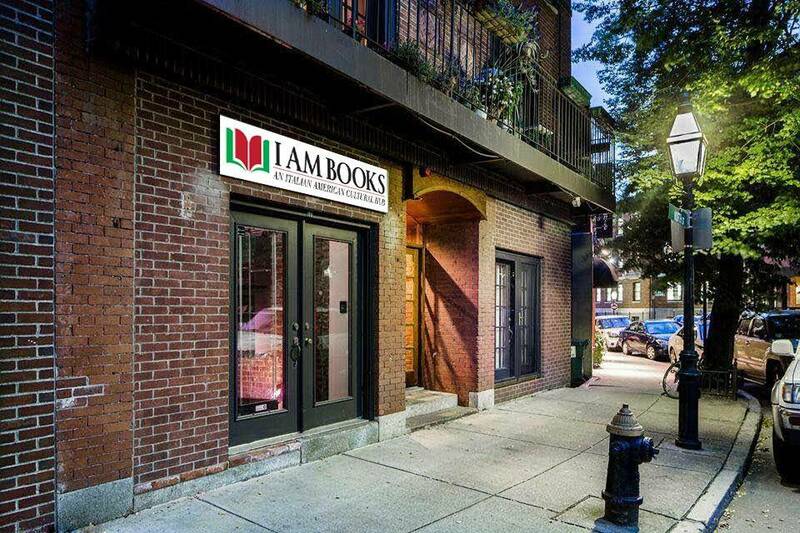 Along with co-owner, Jim Pinzino, Orchuia created I AM Books which is the first Italian-American book store in the country. “I wanted a space where Italian-Americans could be recognized and not play favorites. No connections with any organizations or sign-ups”, Orichuia said. 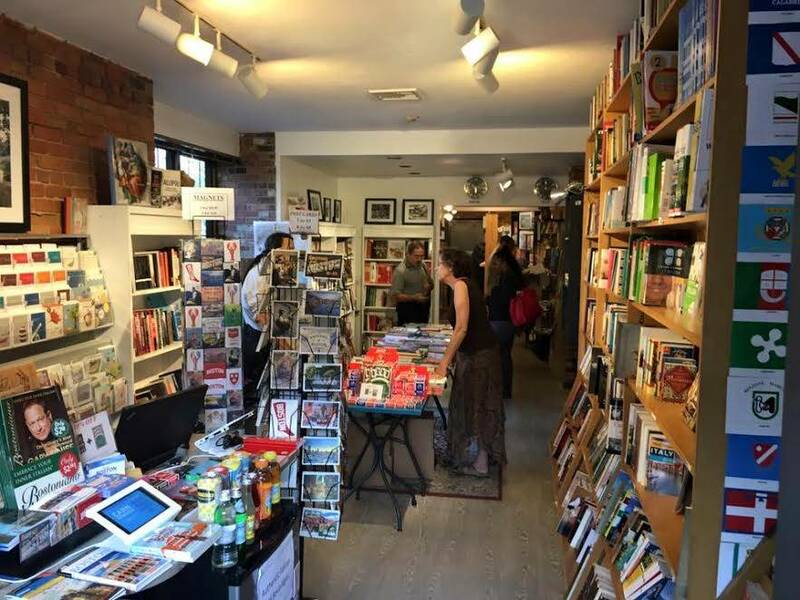 The store sells books of all genres and has many cultural events. These include theatre performances, concerts, poetry readings, Italian language courses, children’s activities and book clubs. 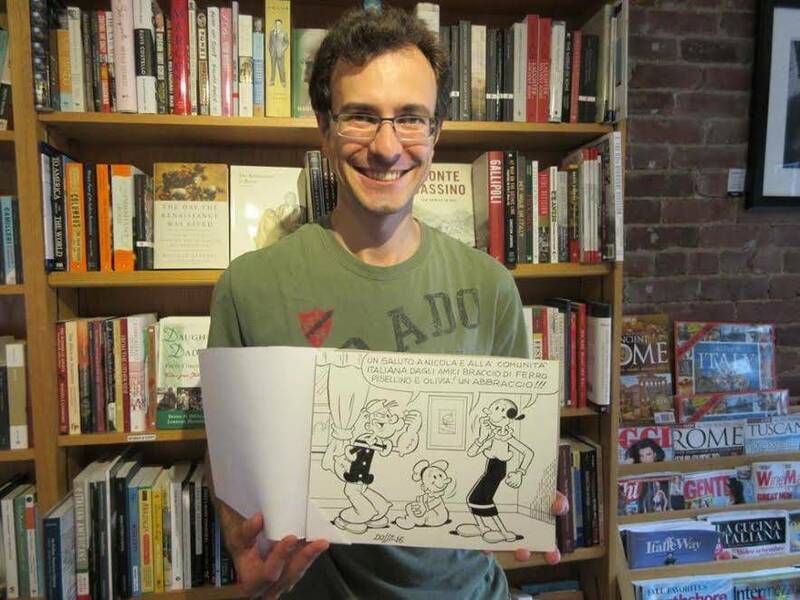 Famous Italian cartoonist, Sandro Dossi, gifted Orichuia with an original drawing of Braccio Di Ferro (Popeye), Olivia (Olive Oyl) and Pisellino (Swee’pea). The artwork was created to thank Orichuia’s efforts for his journalistic and creative endeavors. Dossi illustrated the Popeye characters for Italian comic books for several years. I AM Books is located at 189 North Street, Boston MA and the store’s website is located at www.iambooksboston.com The store can be reached, by phone, at (857)-263-7665.